What’s in a proper Advance? | Sentinel Security Group, Inc.
What’s in a proper Advance? It can take several man hours to adequately plan for the execution of a two-hour Close Protection Assignment, for large scale event security operations – involving thousands of people and covering spans of several 24-hour days – it takes a little more. It’s hard to say you’ve “accomplished” an undefined mission; in fact it sometimes takes a team of seasoned operators to gather the logistics necessary just to define what the mission is. A proper advance will also suggest the various skillsets necessary to accomplish particular aspects of the overall mission of protecting life and property, and maintaining order. No Advance work is complete without working to possess an intimate grasp of the organizers concept of how the event is to be enjoyed by its customers. A total location familiarization outing, like the one seen in the picturebelow, also makes for a great dress rehearsal in the event you need to respond to an emergency under these conditions. 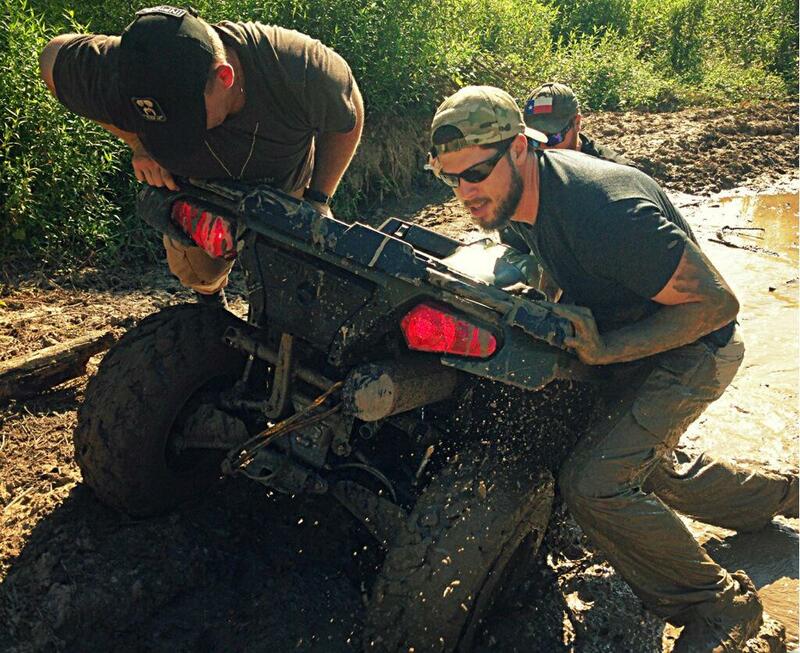 Pictured above are a group of SSG Advance Team Operators learning the layout of a route at Muddy Bottoms ATV Park in Sarepta, Louisiana, notoriously difficult to navigate.